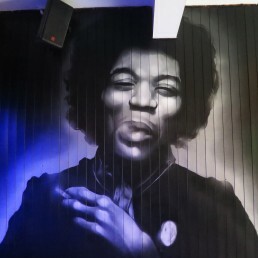 Abstract portrait and glitched out Mickey Mouse cartoon graffiti art murals for Penarth based Crazy Cafe, including mash up Popeye/Bettyboo toilets and abstract exposed ductwork piping. 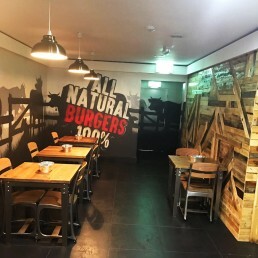 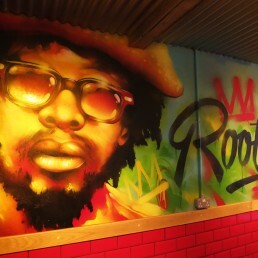 Interior graffiti art murals for Newports Stackers Burger restaurant. 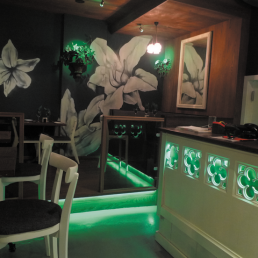 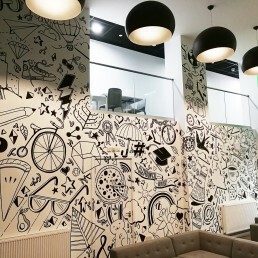 This is a great example of how our murals can totally transform any space. 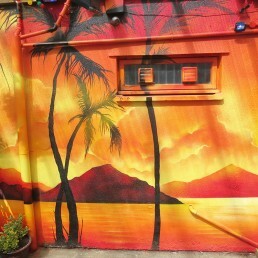 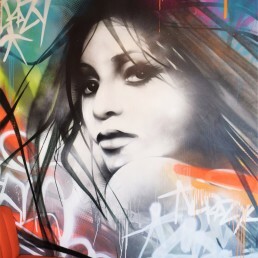 Tropical sunset garden graffiti art mural at Cardiff's Irie Shack. 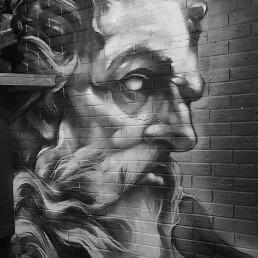 Neptune graffiti art mural commission at the awsome Pitch Restaurant, Cardiff. 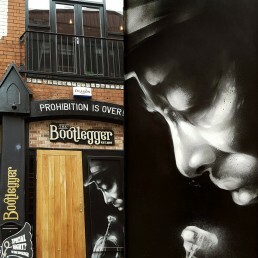 Internal graffiti cocktail & Burger murals at Cardiff's Burger & Lobster restaurant. 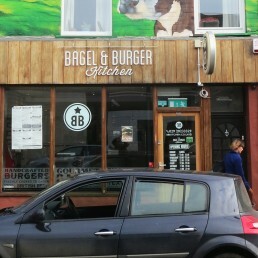 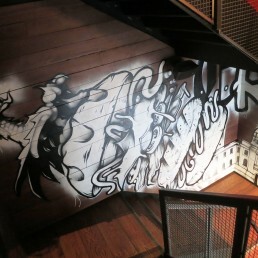 These murals were painted up the main stairway to highlight the new cocktail and burger range and features the Cardiff dragon burger! 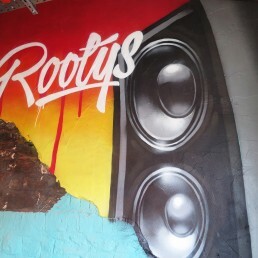 Graffiti art speaker and logo mural at Newports Rootys Caribbean street food restaurant .